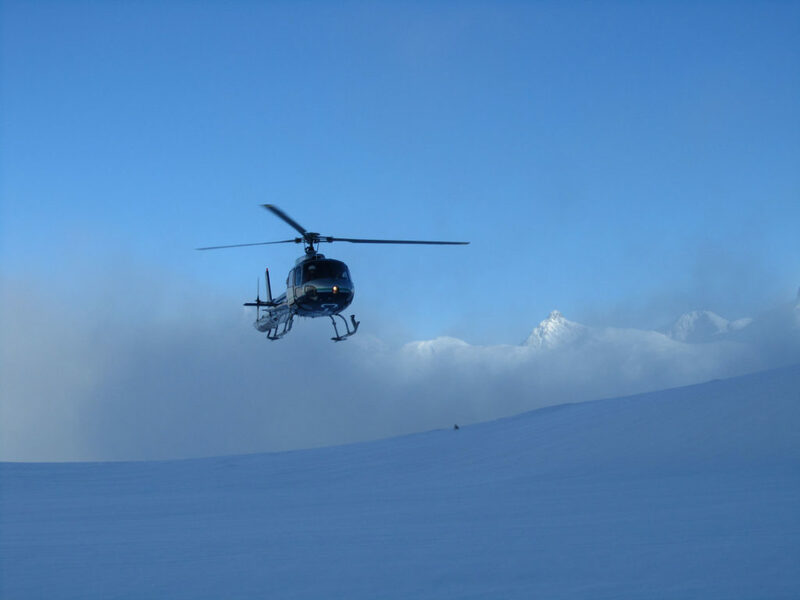 Heli ski vacations are the best adventure – big mountain skiing, untracked powder, amazing helicopter rides over dramatic peaks, luxury lodging in remote cabins, chef prepared meals, hot tubs and hot toddies après ski chatting about your big descents in deep snow that day! 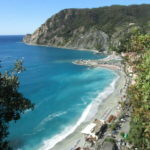 What’ s not to love? 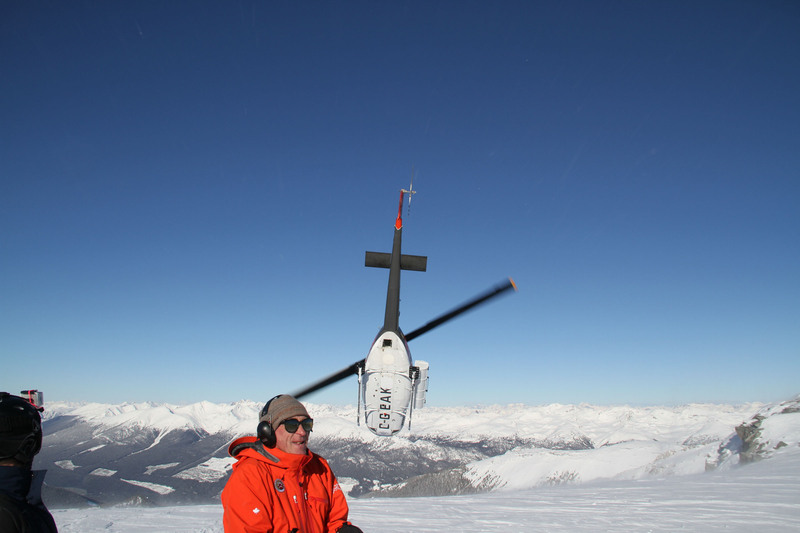 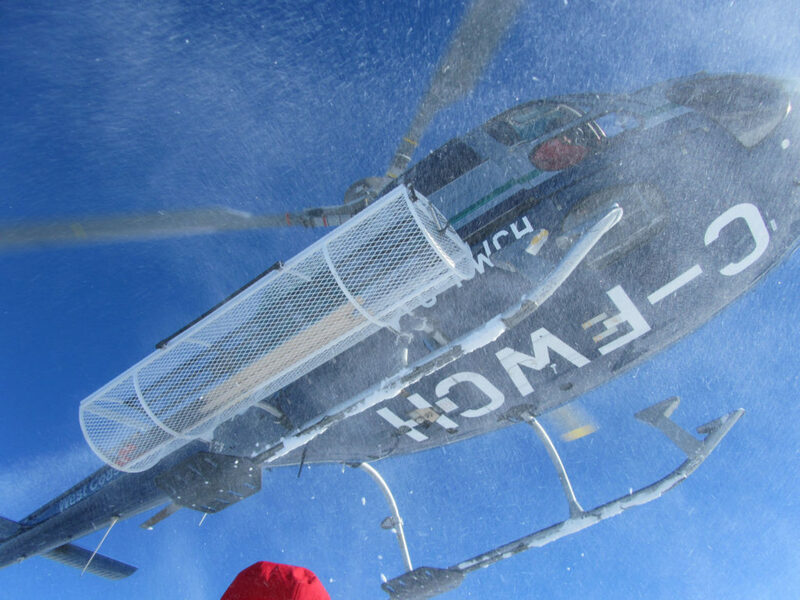 The price tag maybe… we have your guide to heli skiing and review of the best heli ski operators. Heli skiing can be just for a day, or ab week, all-inclusive adventure with luxury lodging in a mountain cabin, gourmet meals and plenty of vertical powder skiing. 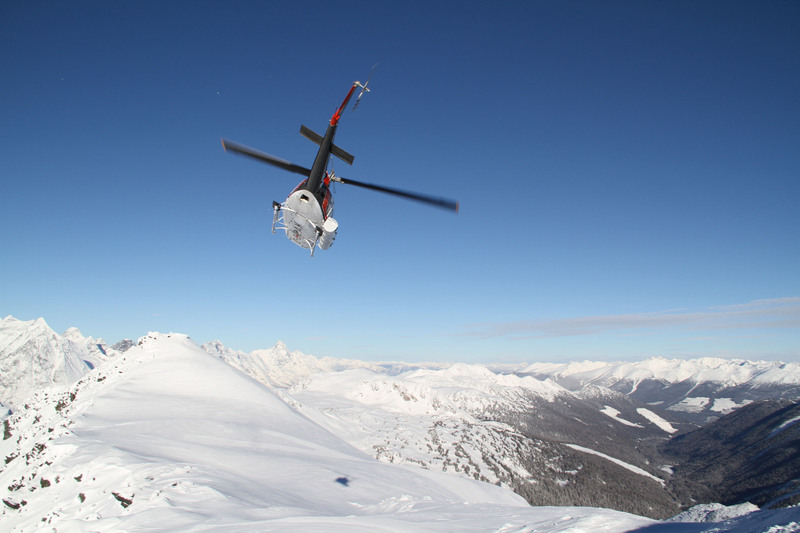 The best heli skiing is in Canada, in British Columbia. We have reviewed luxury heli ski companies, and had incredible ski adventures, with Bella Coola Heli Ski, Purcell Heli Skiing near Kicking Horse, and Eagle Pass Heli Skiing near Revelstoke, and RK Heli Ski near Panomora. 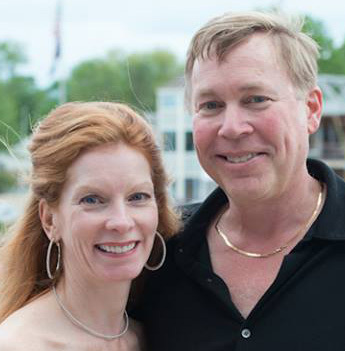 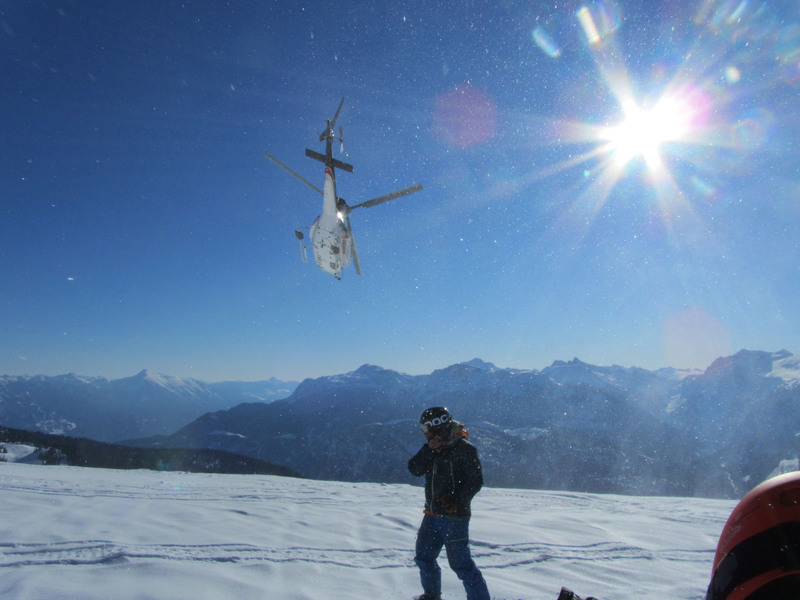 These boutique heli ski operators, while smaller than CMH, and Mike Wiegele, offer an amazing luxury ski vacation unlike any resort skiing. 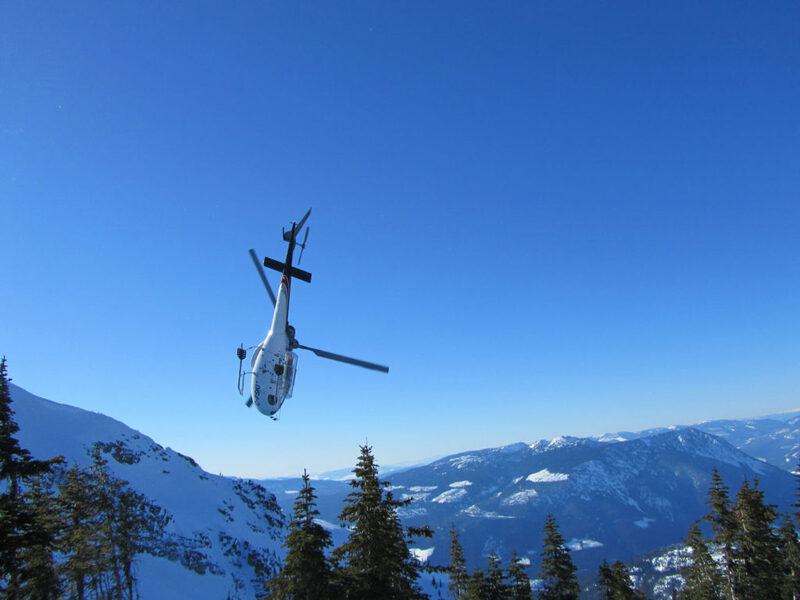 We suggest you put a heli ski vacation on your skier’s bucket list, read these important heli ski tips, and go to Canada – the best place on earth for helicopter skiing. 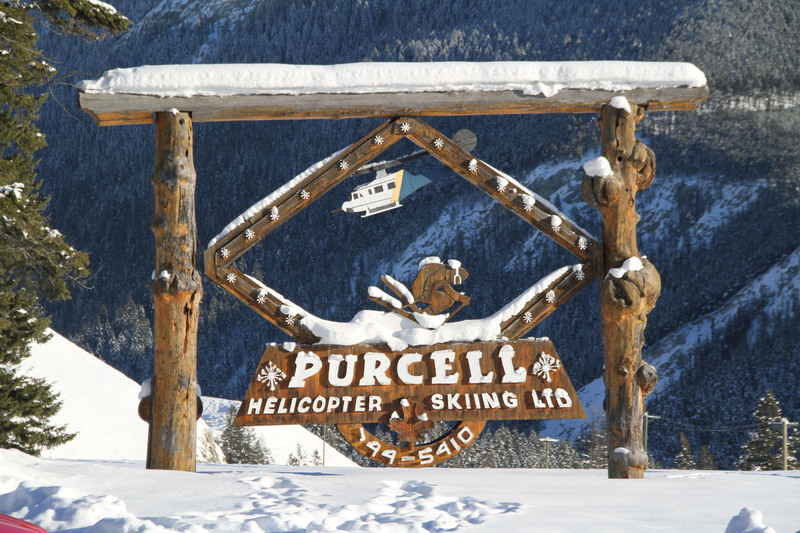 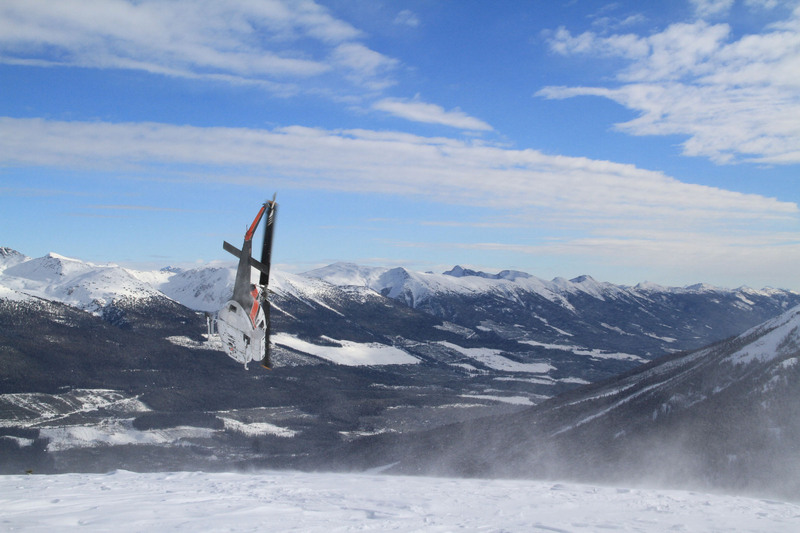 Purcell Heli Skiing is the closest heli-ski operator to Kicking Horse, Banff and Lake Louise, located in in Golden BC, just off the TransCanada Highway. 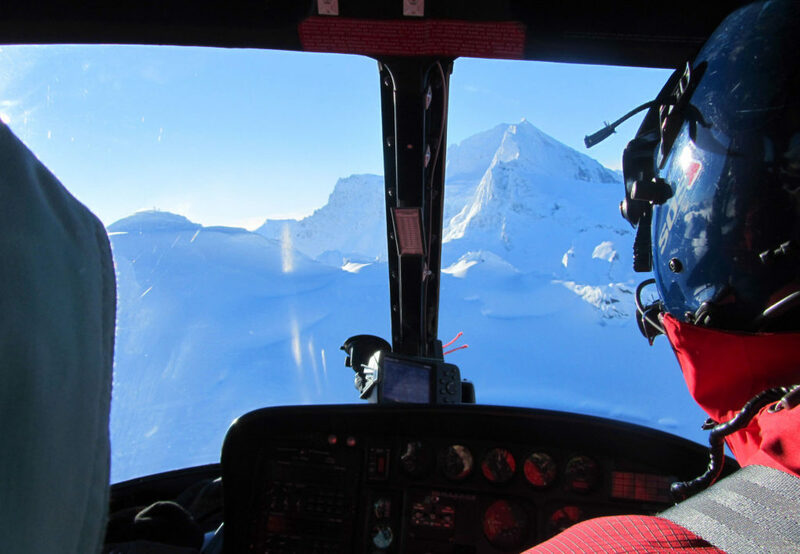 What’s great about Purcell is you can sign on for a single-day of heli skiing as an add-on to your ski holiday in Banff, Lake Louise (1 hour) or Kicking Horse Mountain Resort (just 15 minutes away). 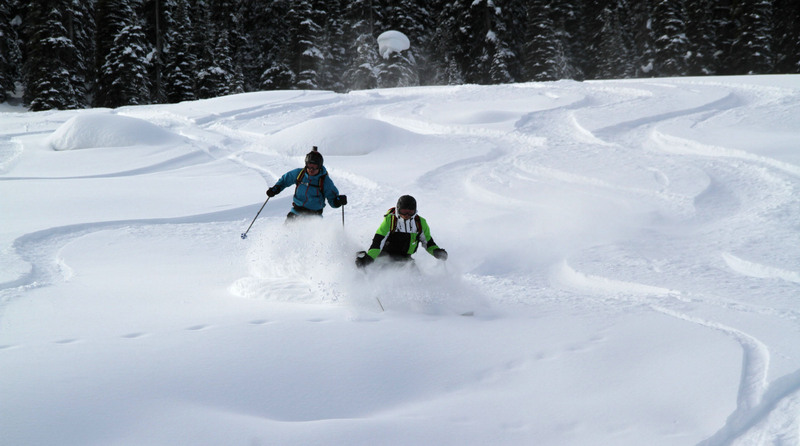 Having spent an epic day heli skiing with legendary Rudy Gertsch, the founder in 1974, we would argue it’s among the best heli skiing in BC. 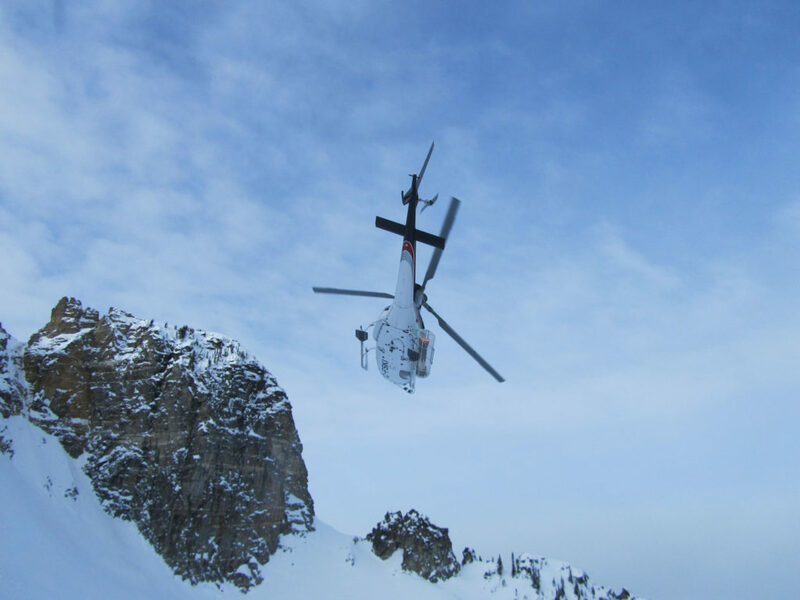 Review of Purcell Heli Skiing. 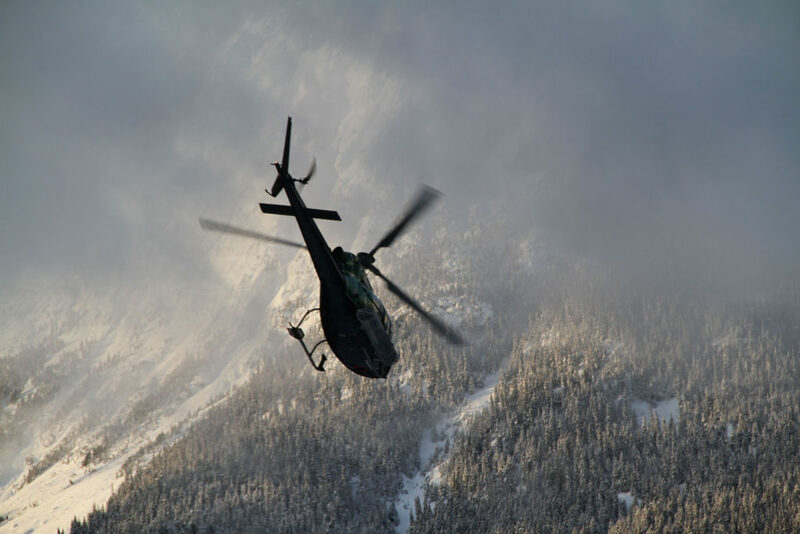 Purcell’s helicopter departs directly from their beautiful chalet to high peaks of untracked, pristine powder where you will ski everything from wide-open glaciers, and big alpine bowls, to snow loaded glades – perhaps all in one long satisfying run. 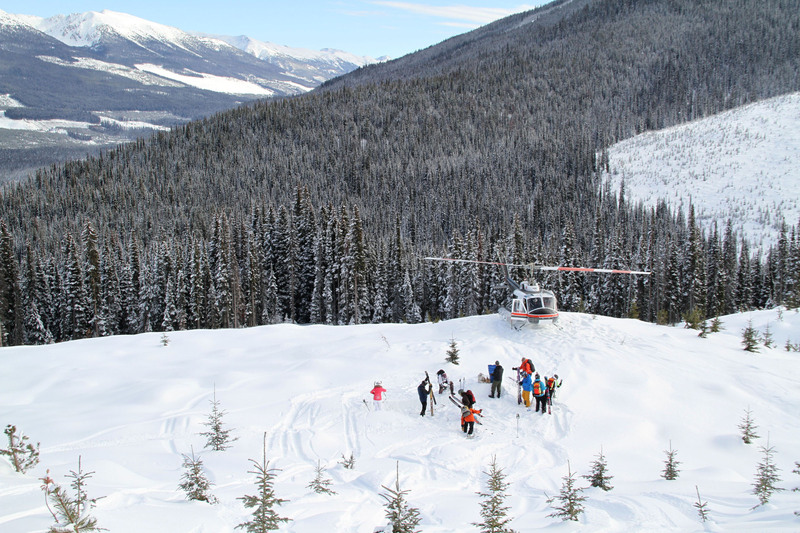 Purcell helicopters fly up to 10 passengers with two guides. The number of groups varies from one to three during peak times. 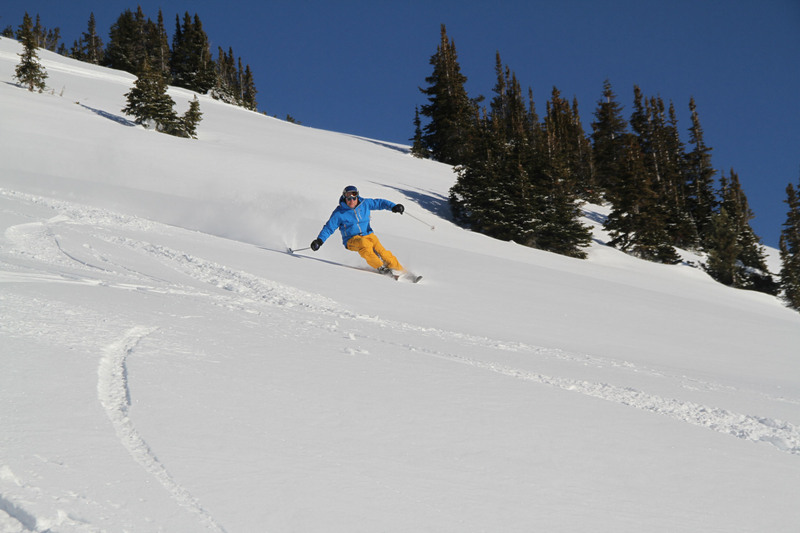 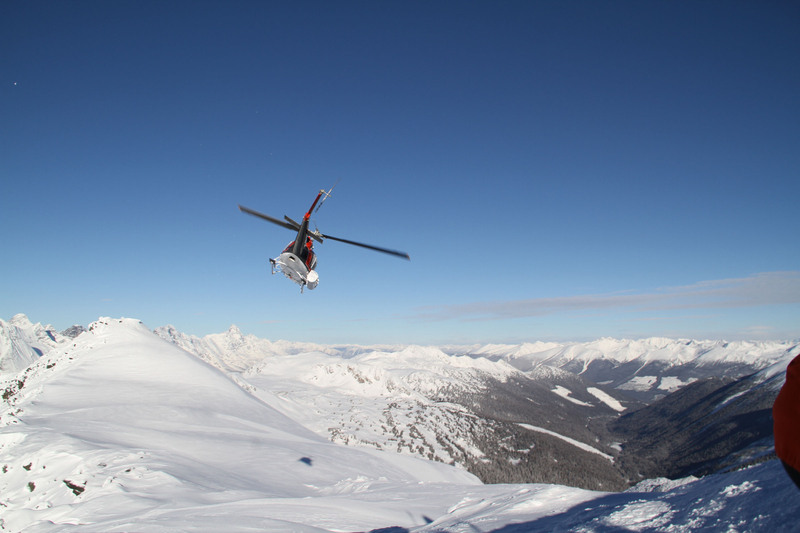 A Purcell heli ski day package includes three runs for about $800, or you can go for the ultimate heli ski day of five runs for about a grand – $1,000. 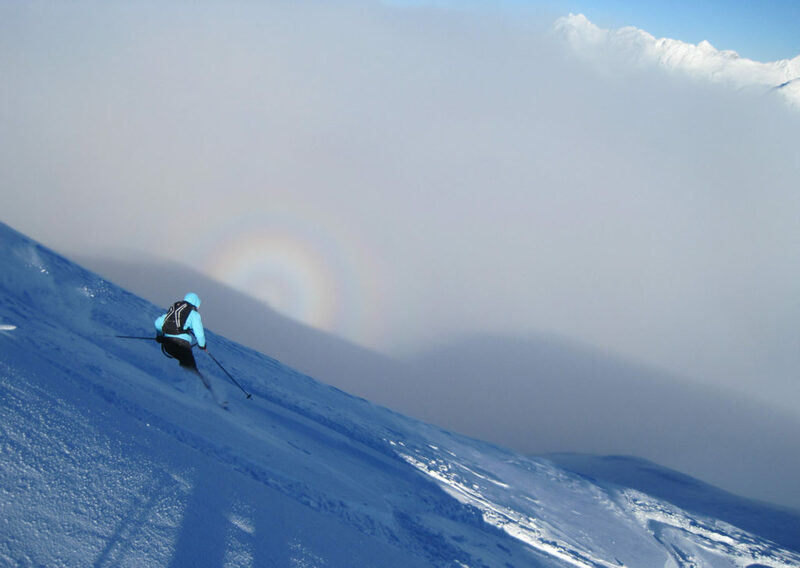 Purcell has great guides, gorgeous terrain in a tenure over 250,0000 acres in the Purcell Mountains, and an excellent heli ski safety record. Bella Coola Heli Sport has the largest ski tenure of any heli ski outfit in the world, 2.6 million acres of exclusive terrain, bigger than the Swiss Alps. Its also one of the most boutique heli ski companies with just 15 skiers sharing two helicopters and a 60-acre resort based in the magnificent mountains, with a 1929 gentlemen’s camp – The Tweedsmuir Lodge as the main lodge, private cabins, and gourmet cuisine, a spa and a spectacular setting in remote BC near the pacific. 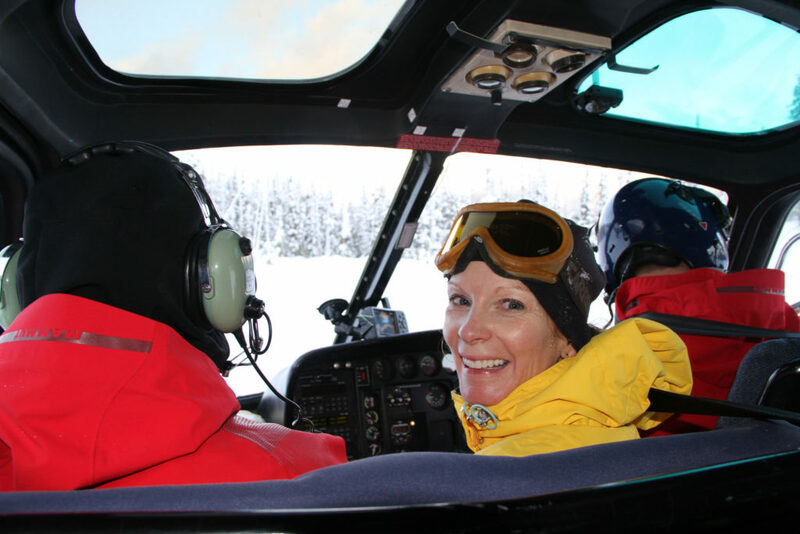 Ski days at Bella Coola begin with a yoga, a delicious breakfast, then boarding the Heli-copter right out front, for an exhilarating ride up to 12,000’ mountains, for long 3,000’ vertical run starting in snowfields on dramatic peaks, wide open bowls, dropping to well-space trees, to our an A-Star helicopter waiting to repeat 10 to 15 times a day. 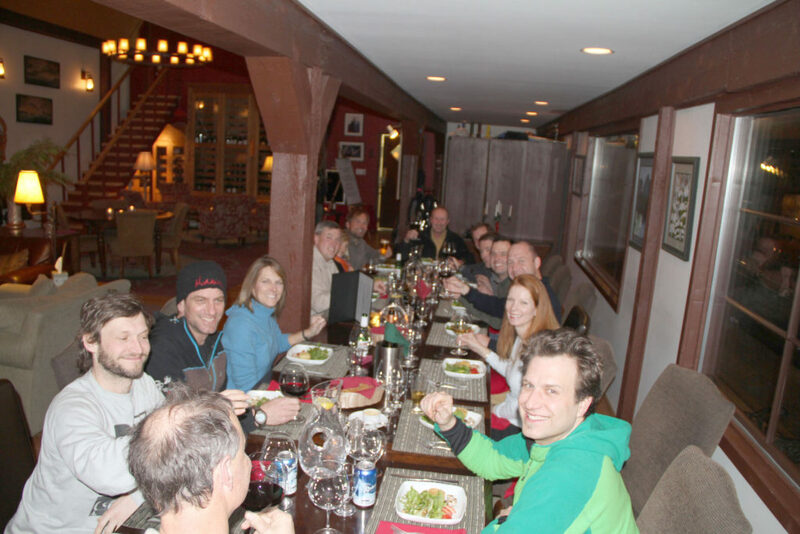 Après ski a hot tub or massage, before a gourmet candlelight dinner and drinks by the grand stone fireplace in the luxury lodge – awesome. 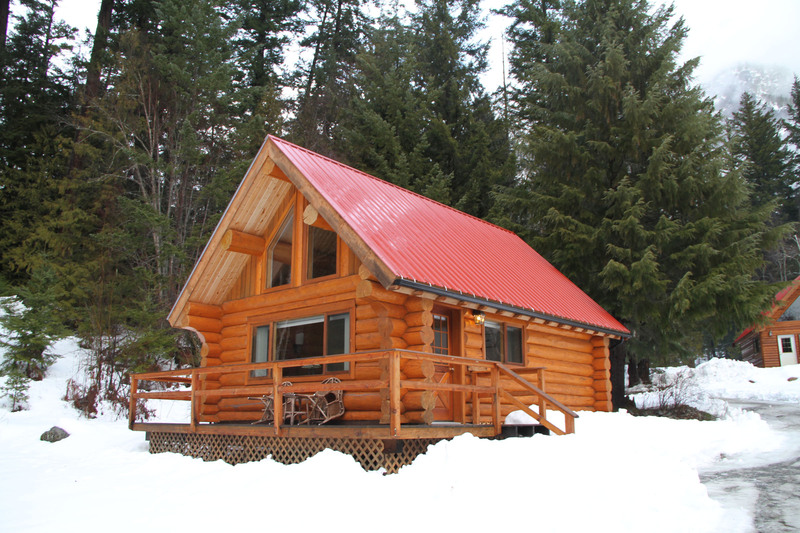 Only issue can be weather, if its foggy (often the case in the Pac North West), its no fly and you are sequestered to this beautiful lodge till its blue sky again. 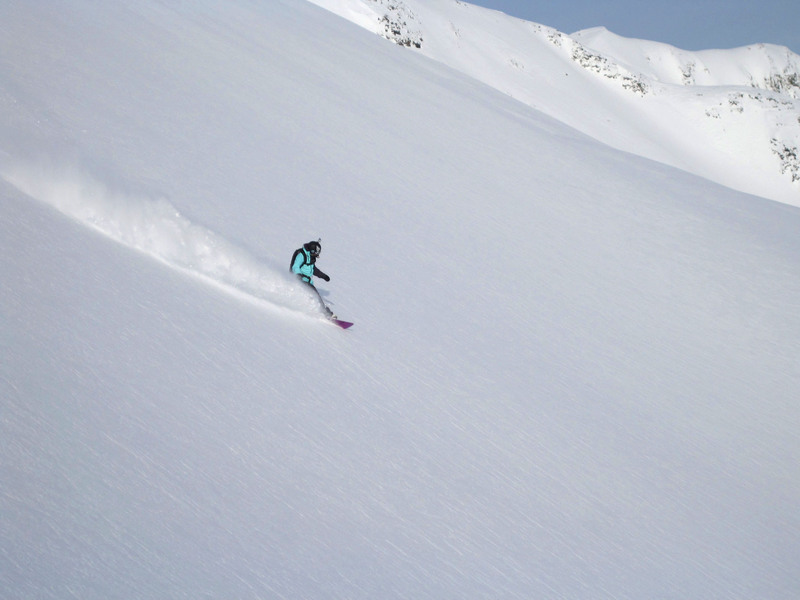 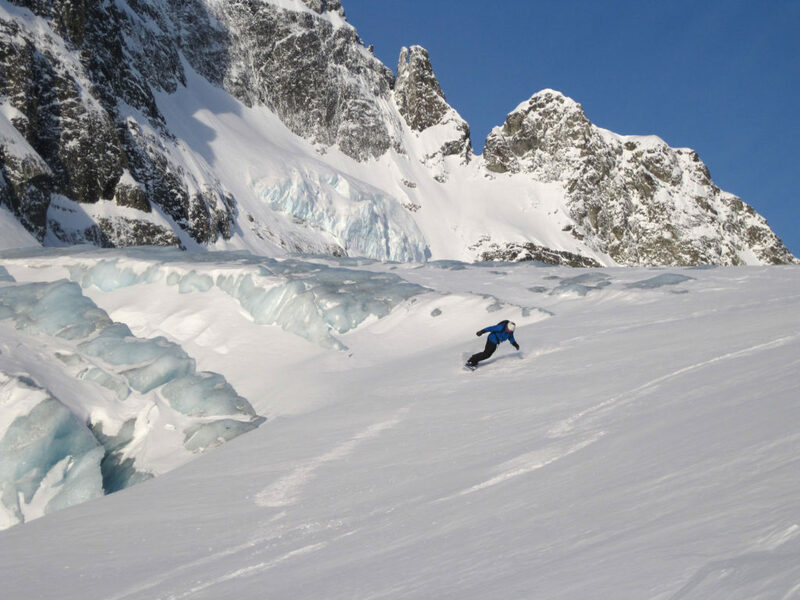 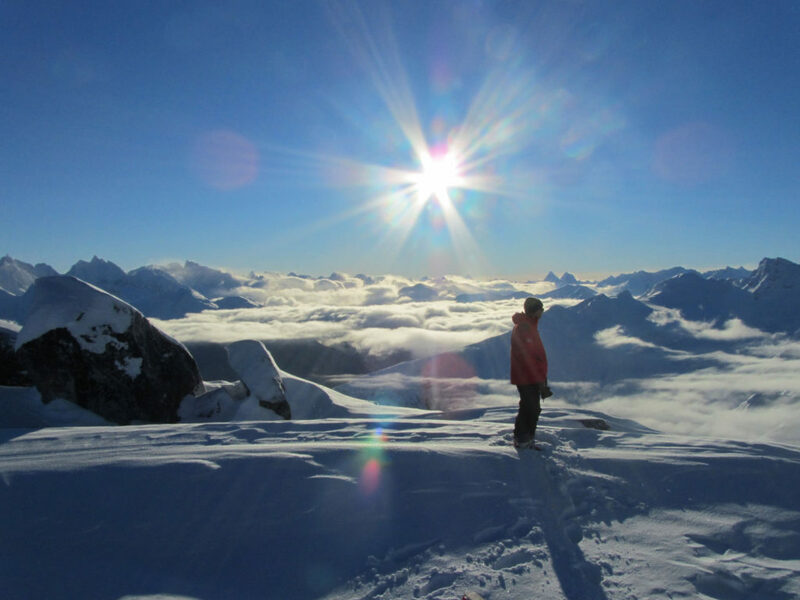 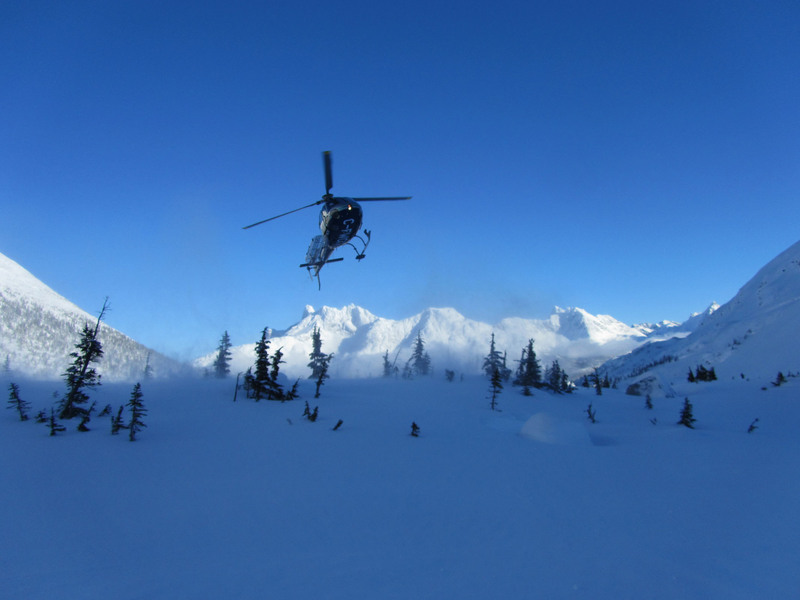 More on Bella Coola Heli Ski trips. 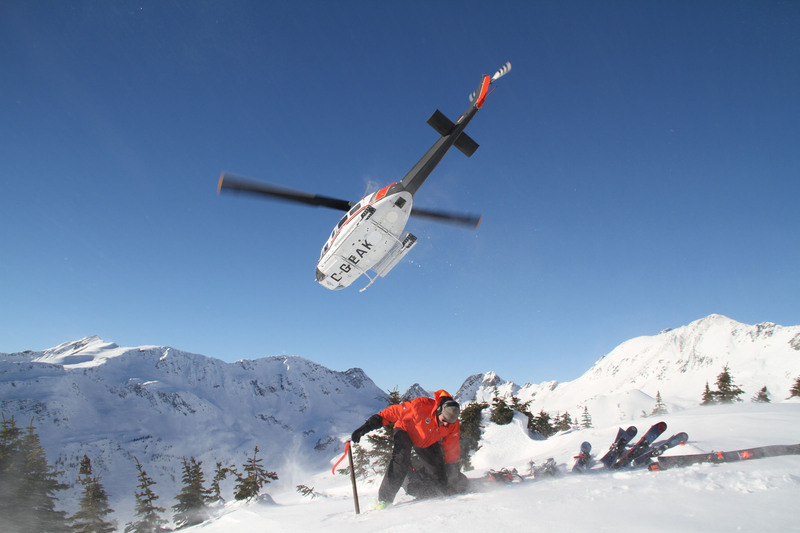 RK Heli is a day heli ski operation, near Panorama Resort. This is a great heli-skiing outfit for a first time – you can go out and see if heli-skiing is for you. 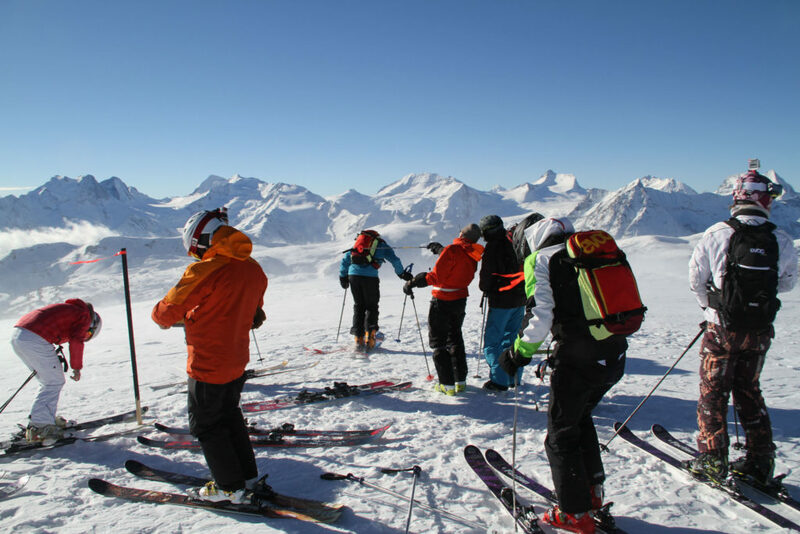 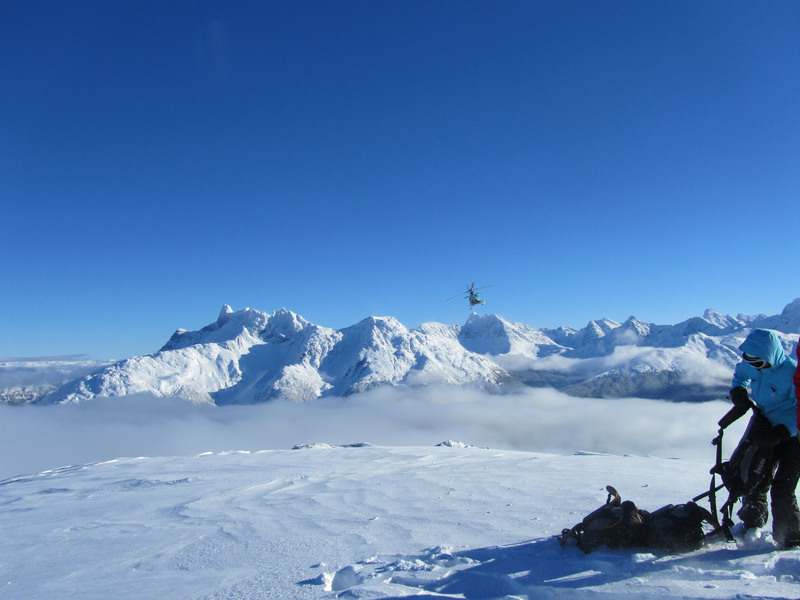 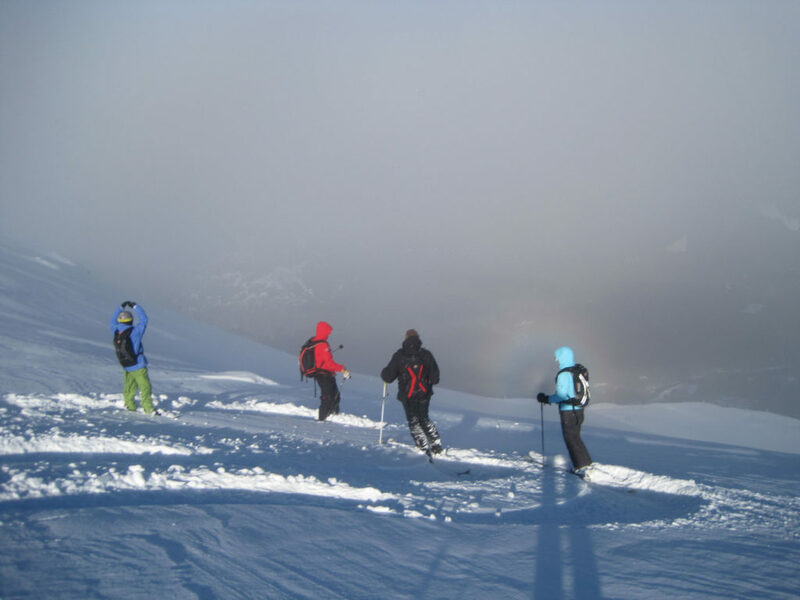 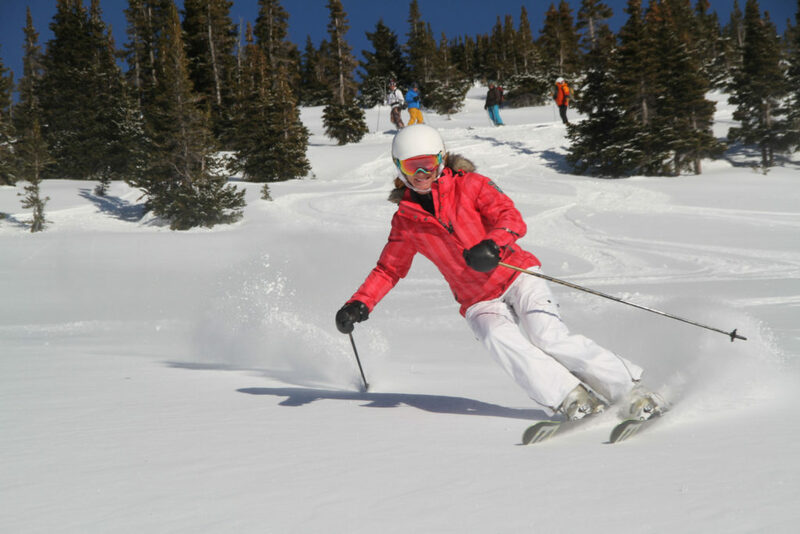 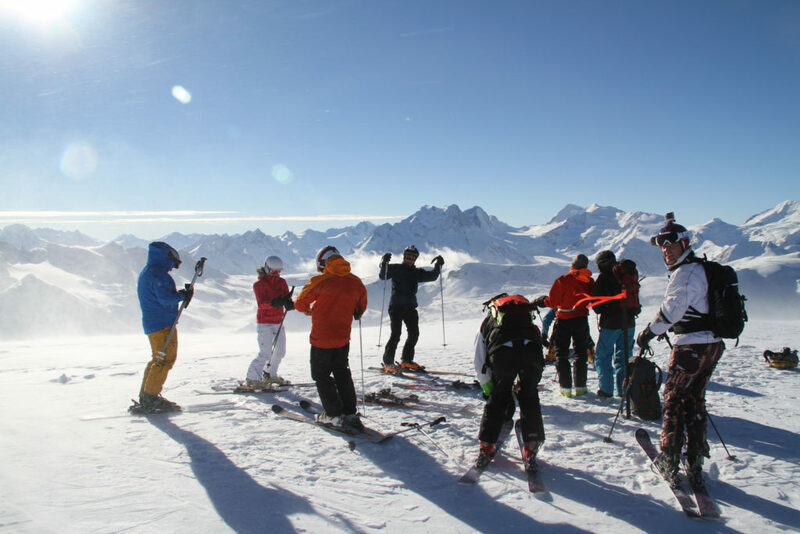 With large capacity helicopters, and plenty ofguides, big groups of skier and snowboarder are sorted by abilities and you can discover the joys of Heli skiing, typically 3 runs before lunch, when you can decide to carry on, and add on, or opt out. 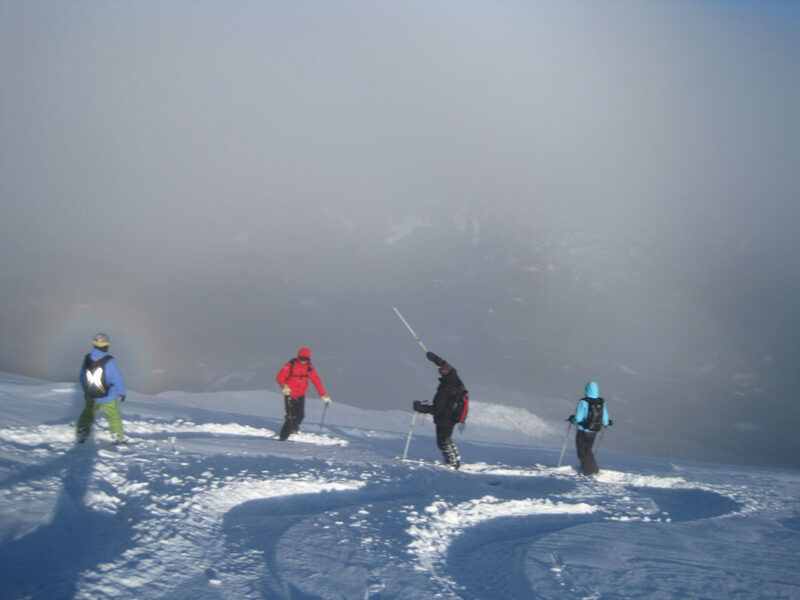 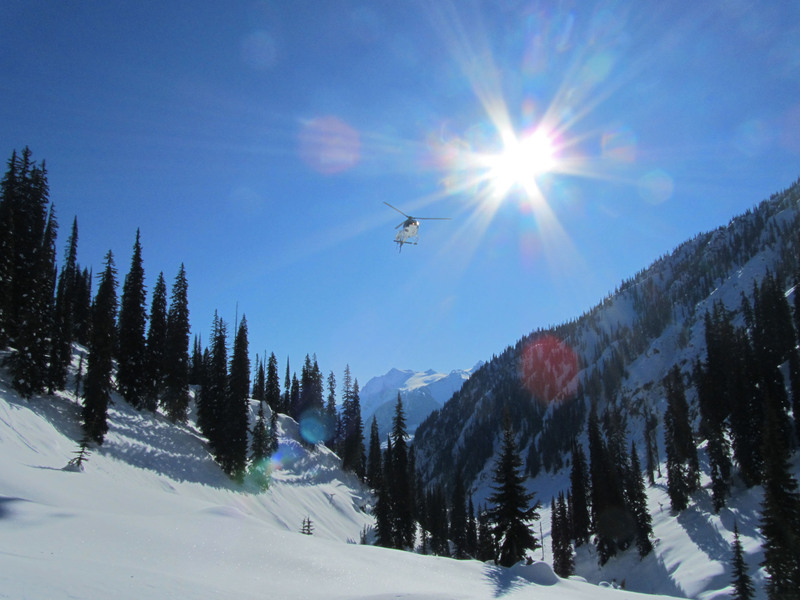 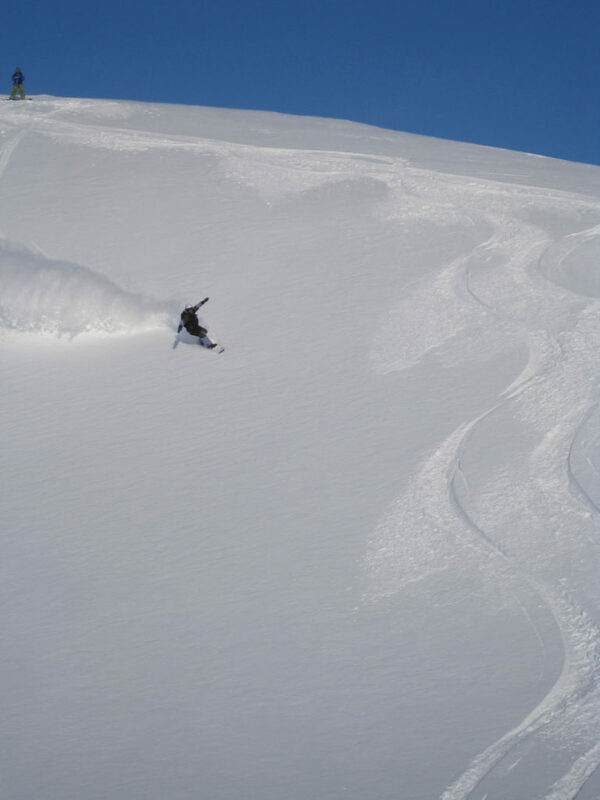 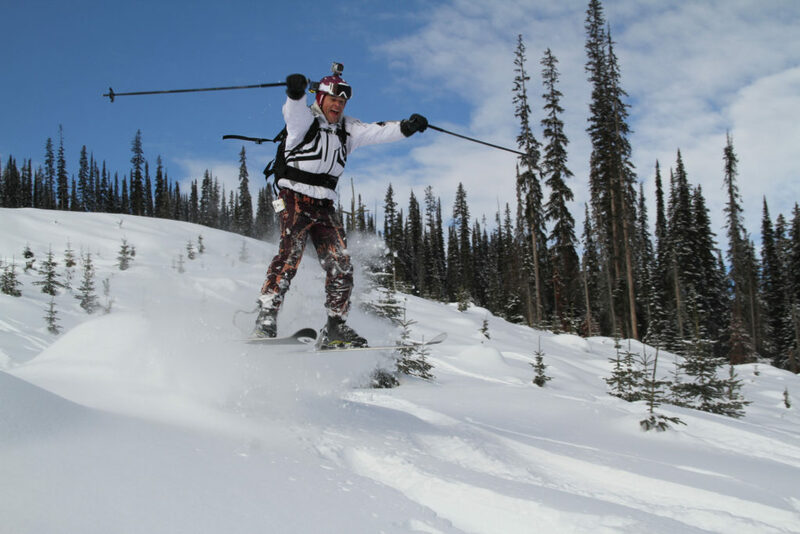 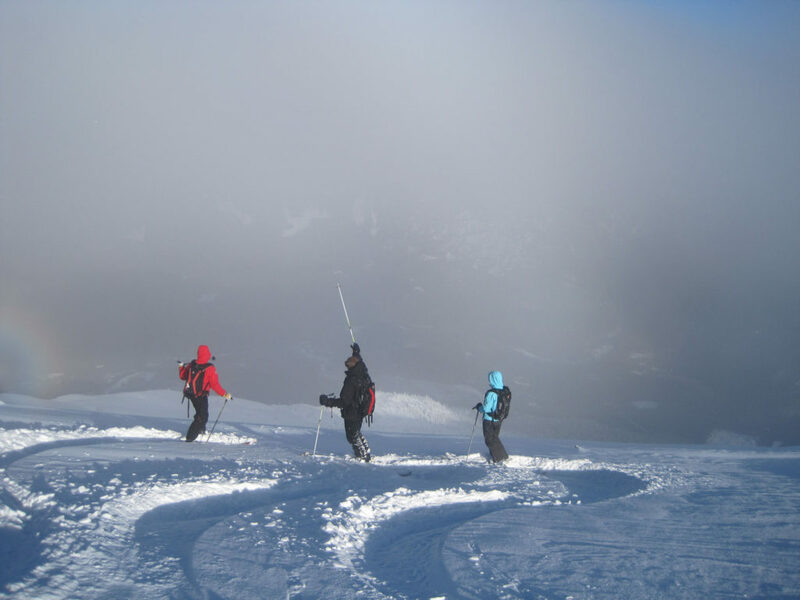 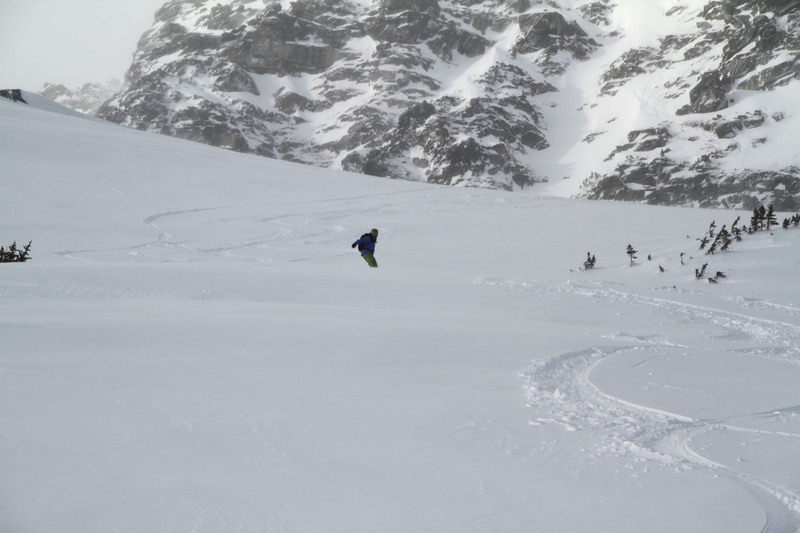 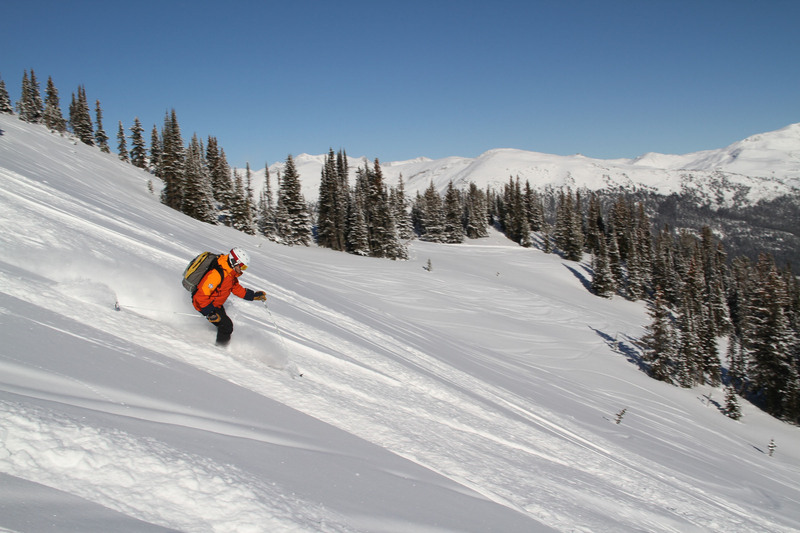 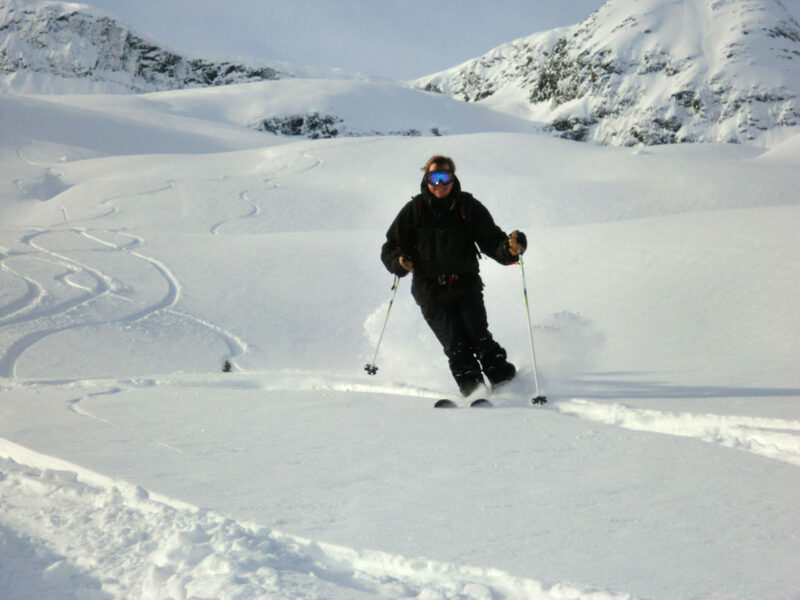 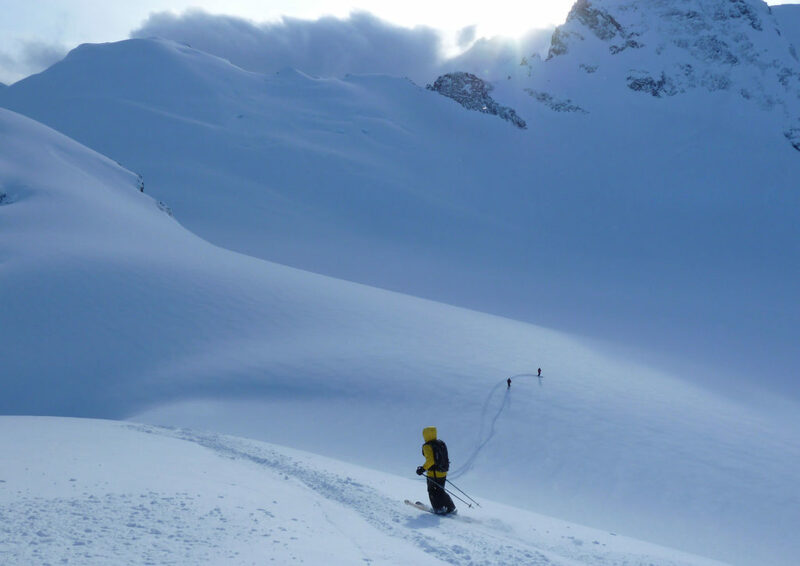 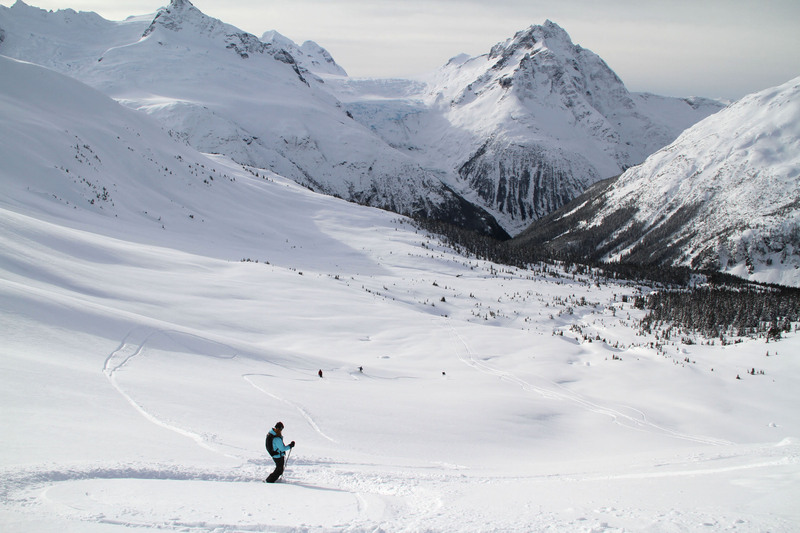 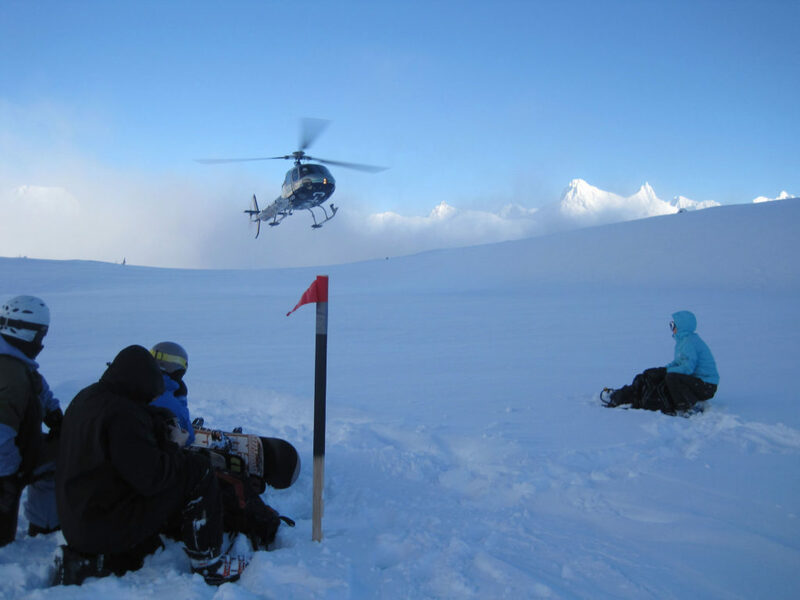 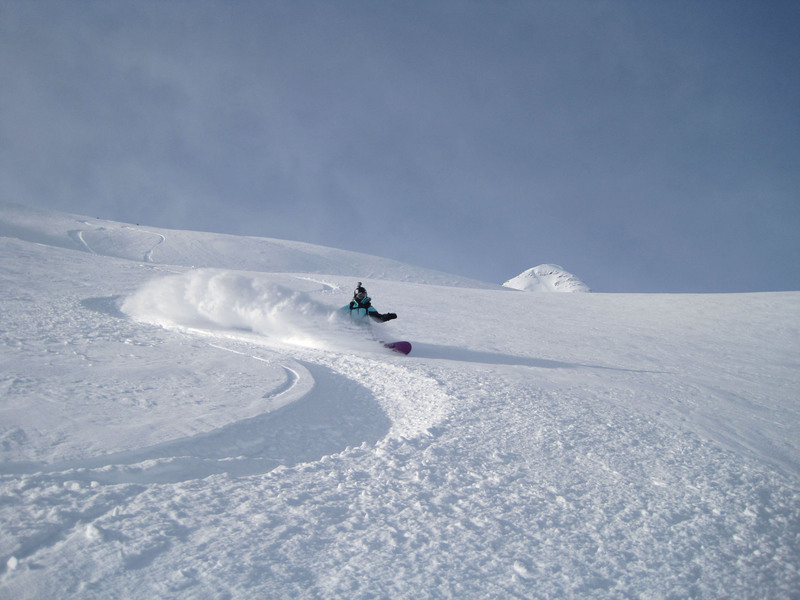 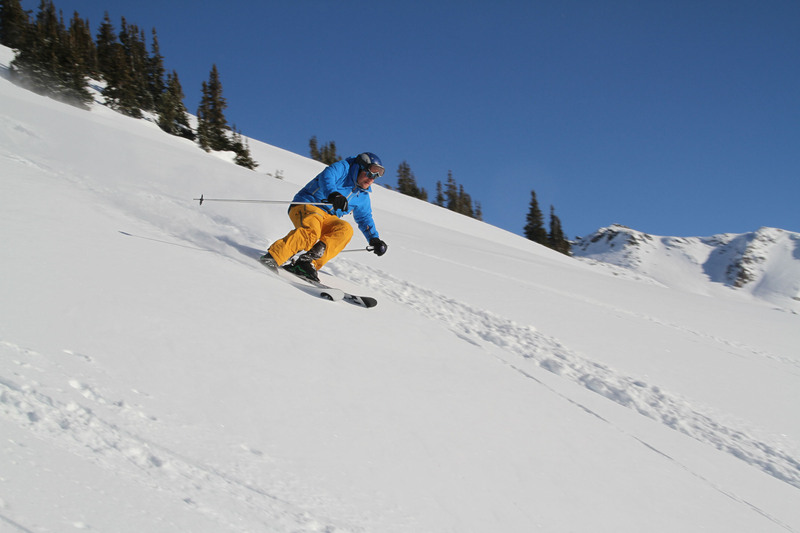 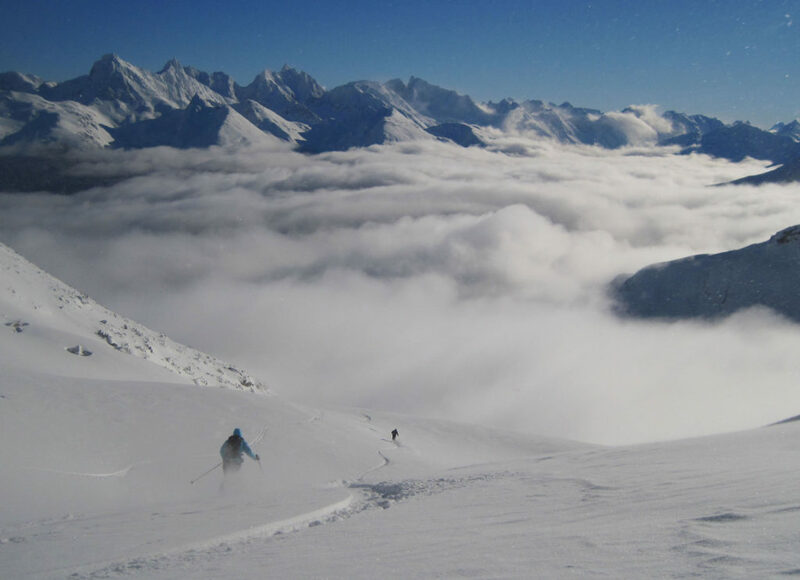 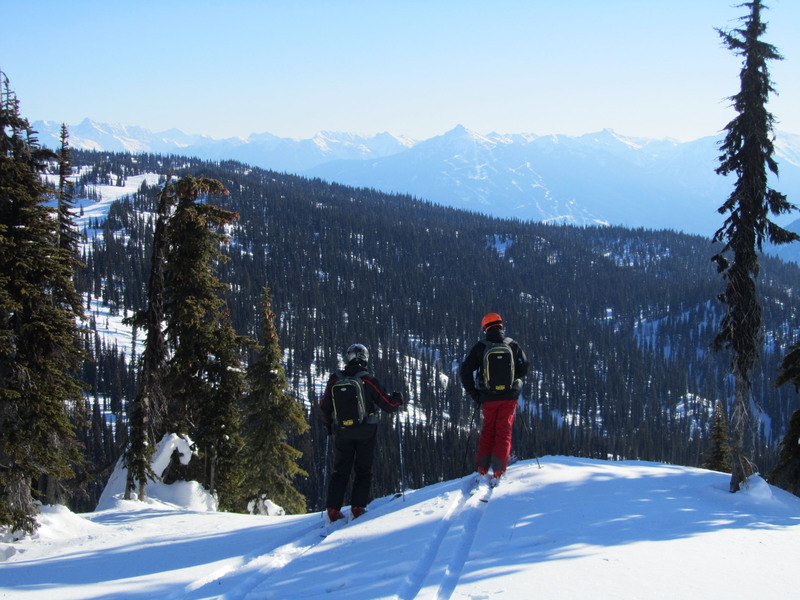 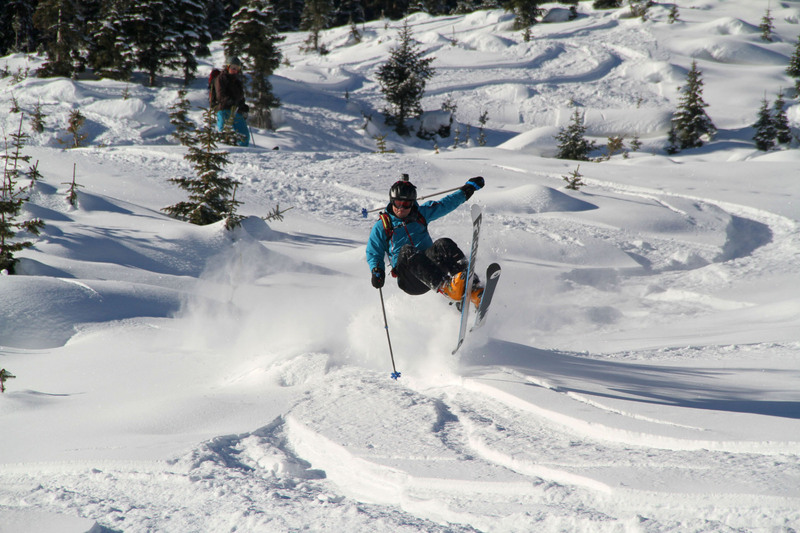 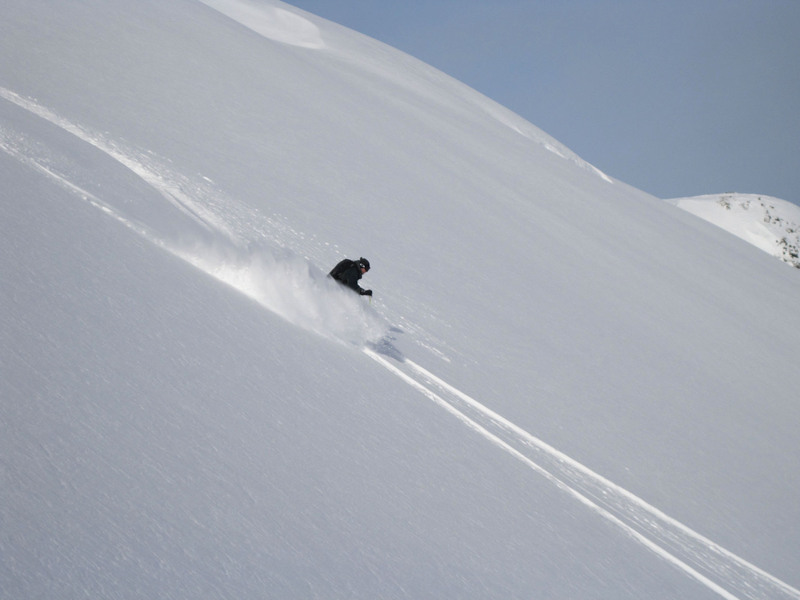 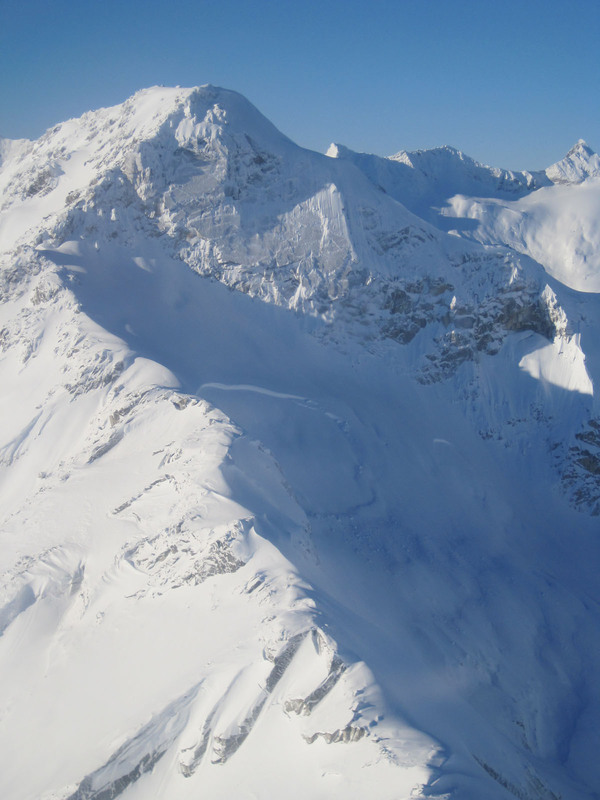 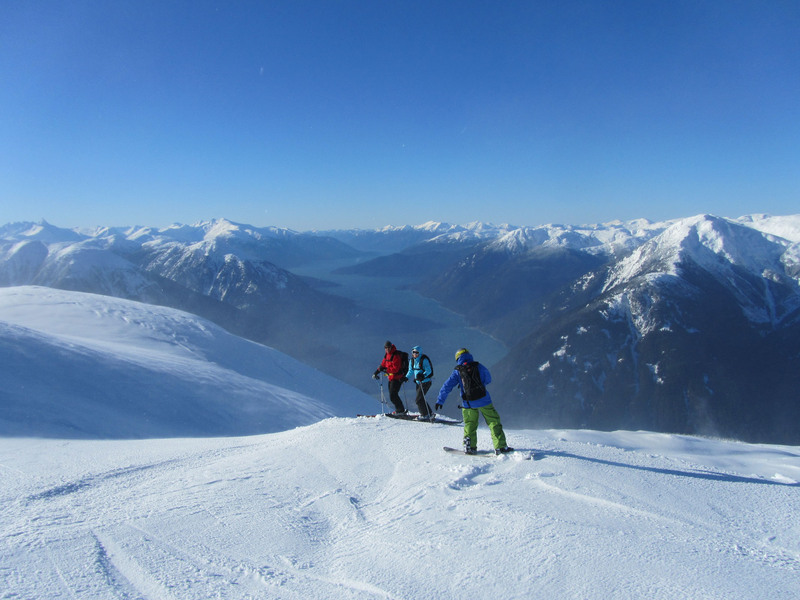 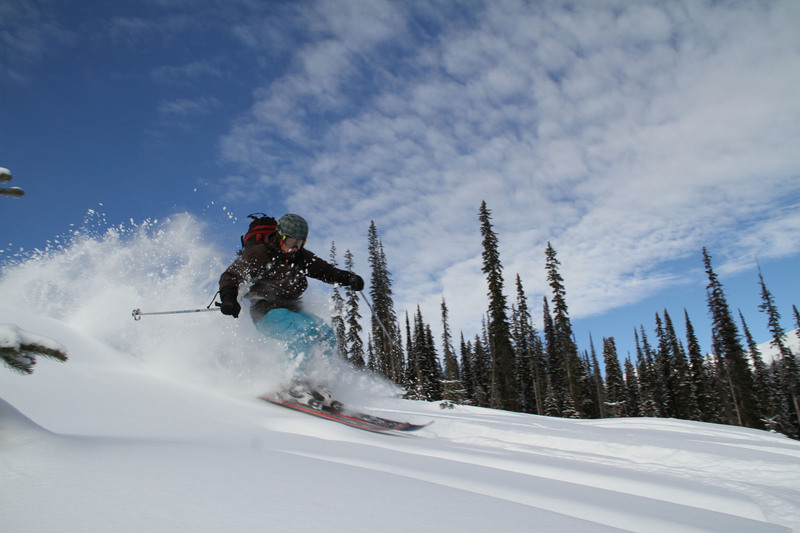 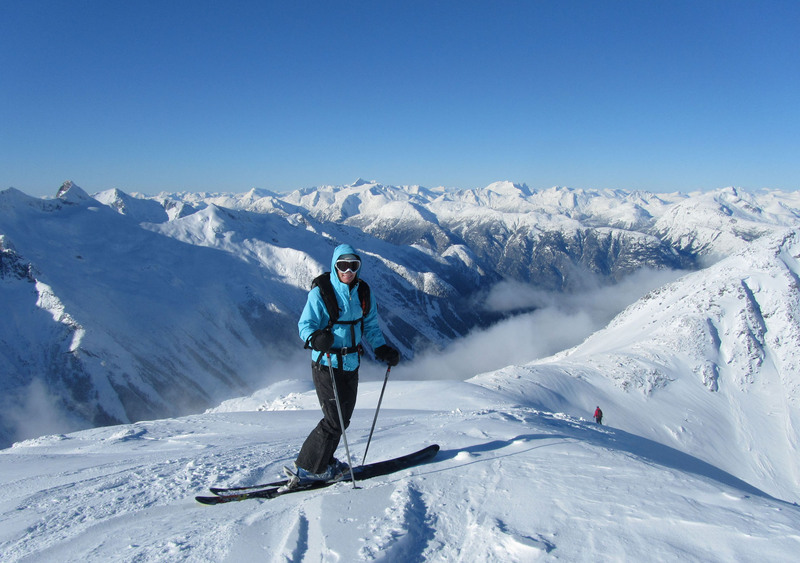 Eagle Pass Heli skiing is based in Revelstoke, its day trip heli skiing, and best for experienced skiers in our expert travel opinion. 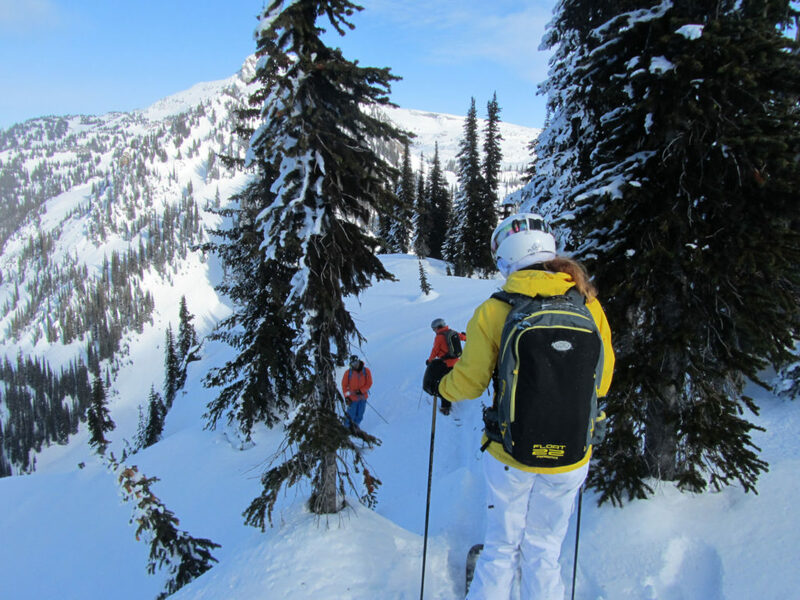 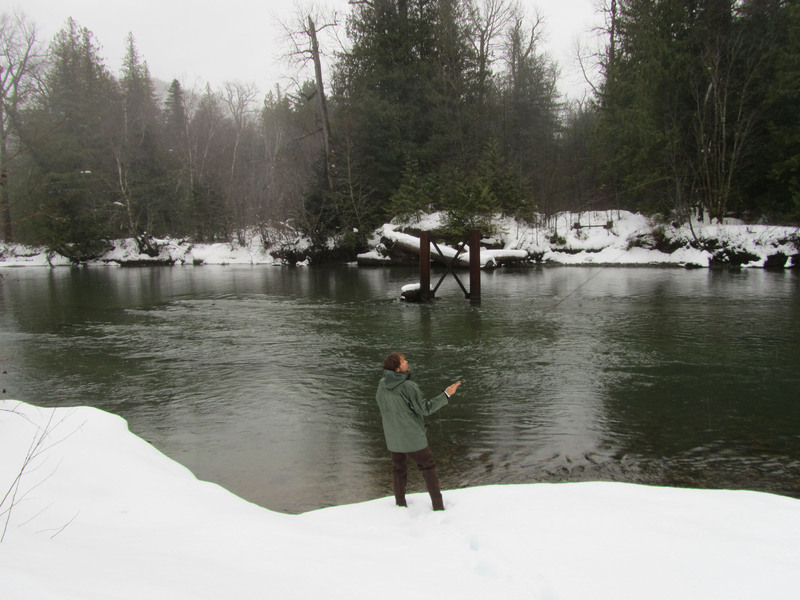 The guides are not as seasoned as Bella Coola or Purcell, and there fore, you should have your own knowledge and experience. 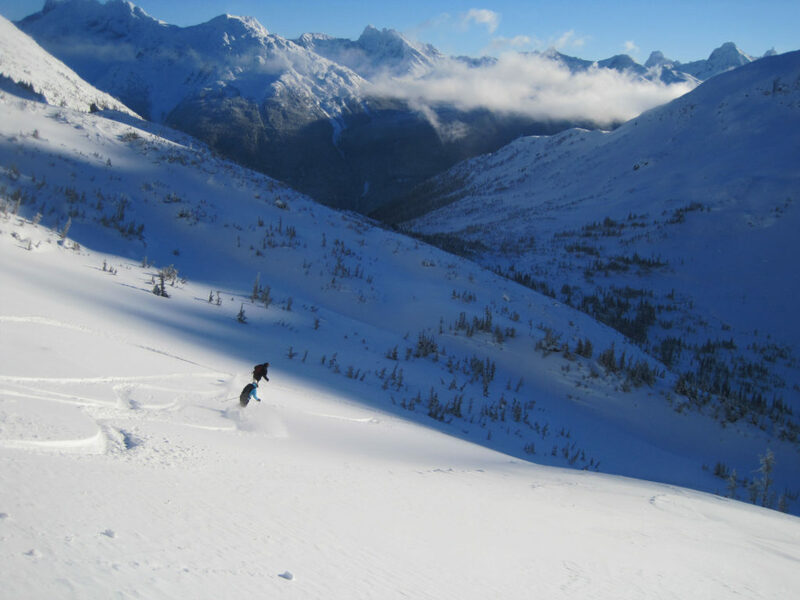 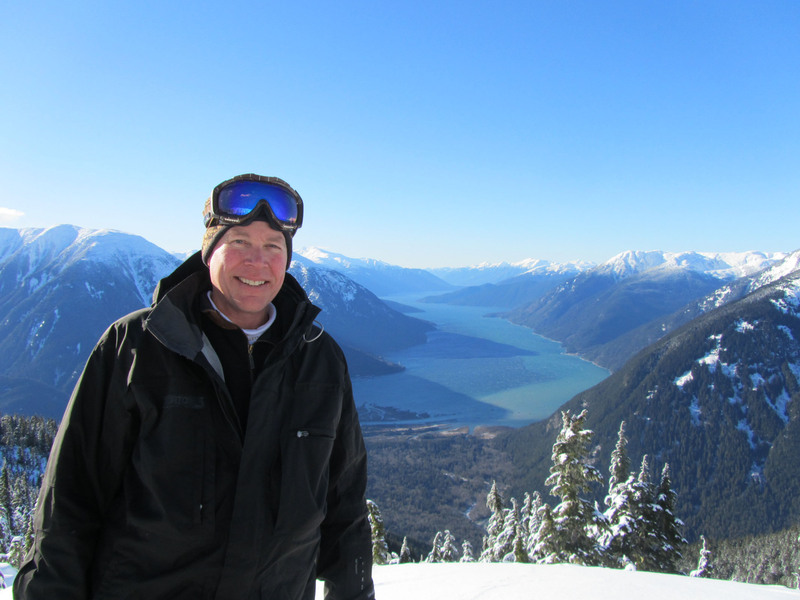 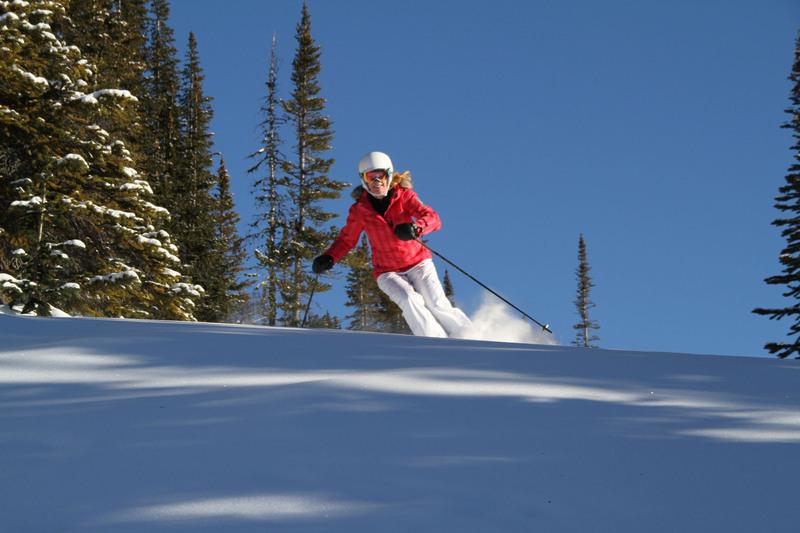 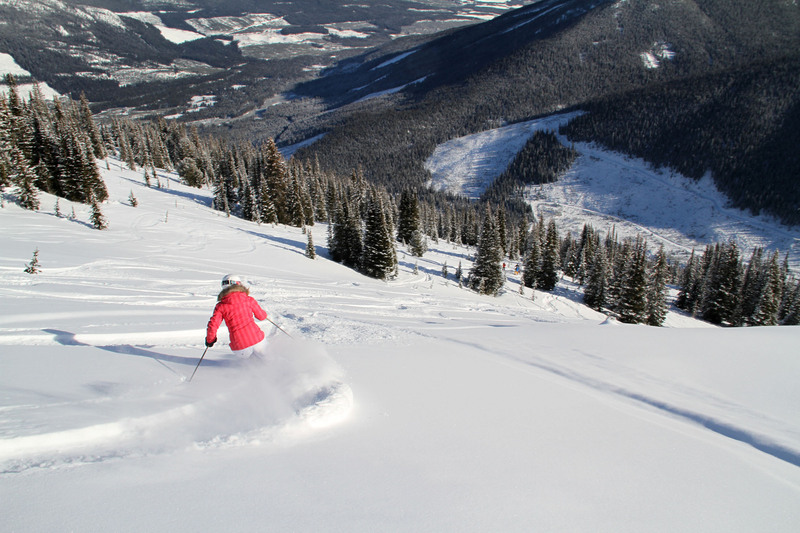 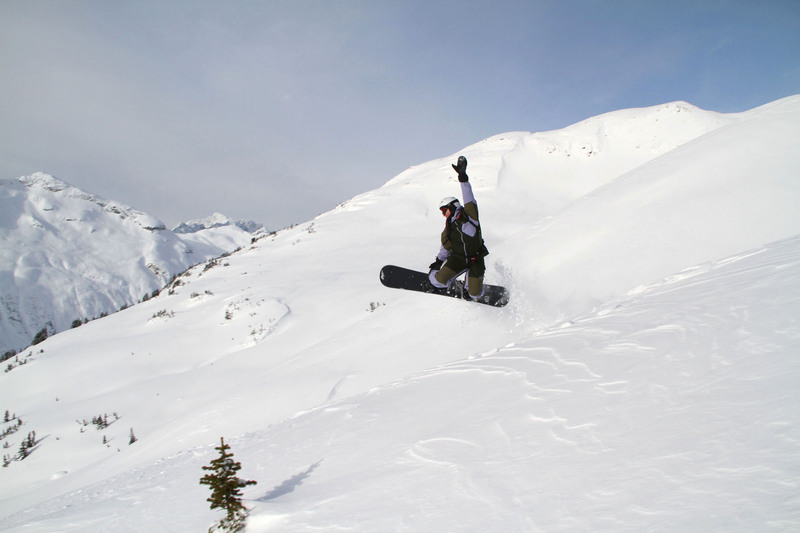 What we like about Eagle Pass is you can add a day on to your ski resort stay at Revelstoke Ski Resort.